Choose the following type of therapy to learn more. The best hospitals, universities, and treatment centers harness the power of interdisciplinary teams to ensure that their work benefits from broad, deep, well-coordinated collaboration among all team members. Current outcomes research supports the theory that a high-functioning interdisciplinary team is exponentially more effective than the sum of its members’ individual efforts. At New Haven, we employ an advanced, research-supported interdisciplinary approach through our treatment team system. Residential lead and shift supervisors. This team, representing every direct-care department, gathers every week to discuss every child and family. Team members discuss each student’s progress, level, and interventions. We analyze what’s working and what’s not working and make adjustments collaboratively based on a 360 degree perspective that no one department could achieve in isolation. These meetings provide every team member with critical information that spans each student’s experience at New Haven in all contexts, twenty four hours a day, seven days a week. This information, along with contextual information such as family functioning, medication regimen, physical health, and peer relations, helps our team make sound treatment and educational decisions and ensures the highest degree of safety. As part of each treatment team discussion the student’s Master Treatment Plan is reviewed and, as necessary, adjusted to ensure that treatment decisions are coordinated, documented, and implemented. Family therapy usually occurs via video conferencing, but parents are welcome to attend in person. New Haven therapists schedule ninety minutes of family therapy per family per week. 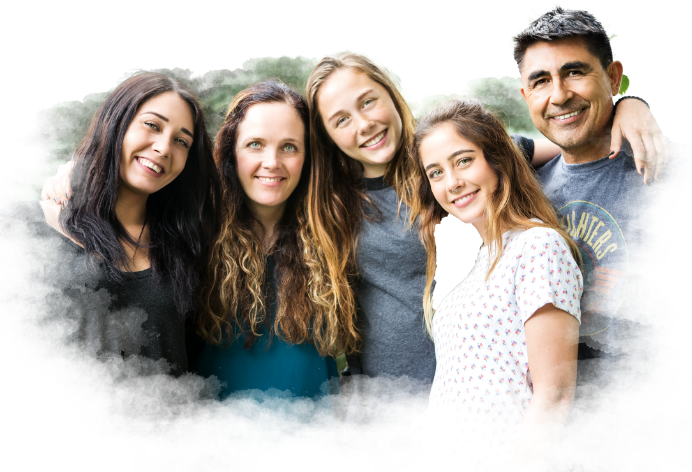 These sessions provide the opportunity for families to work through sensitive issues together and to support each other, prevent relapse, and plan for returning home after treatment. Each student receives a minimum of ninety minutes of individual therapy each week. The ninety minutes can occur in a single session or several sessions as needed. With a wide range of therapeutic specialties available, we work together to determine the best therapist fit for your daughter. In addition to all of the other therapies, students with substance issues attend a weekly recovery meeting and participate in one-to-one sessions with our Substance Abuse Counselor. 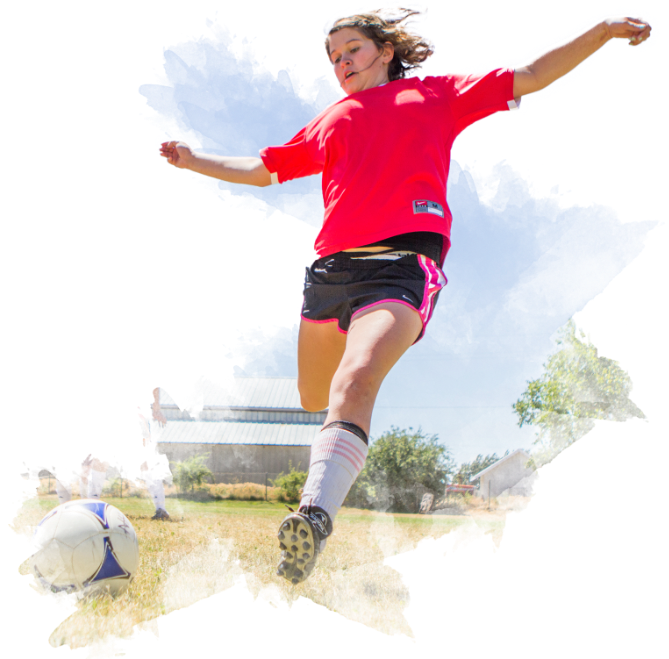 There is also a specific Chemical Dependency track available to girls needing it as an additional aspect of the program. When the Insight Phase and higher are reached the students can also attend AA/NA community-based meetings and participate in Intensive Day experiences with one of our therapists. The girls are involved in service projects at least twice a month. Projects include Adopt a Grandparent at a local nursing home, House of Hope (a service for abused women and children), the Humanitarian Center, Camp Kostopolus (a camp for handicapped children), and other local organizations. Service projects like these provide the girls an opportunity to focus on something outside of themselves; doing so improves their own lives and the lives of others. 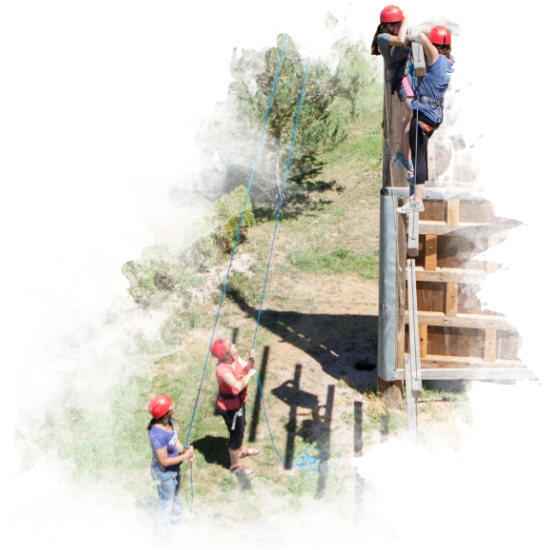 Licensed recreational therapists and certified ropes course facilitators run New Haven’s experiential therapy groups. Experiential therapy uses activity-based experiences to teach life skills in areas such as relationships, communication, teamwork, self-esteem, self-awareness, accountability, and responsibility. Involving students and families in challenging and unpredictable tasks helps them think in new ways about old problems, identify what needs to be changed in their lives and relationships, and take the decisive steps to achieve more happiness and success in life. Experiential therapy is held at least four times a week in ninety-minute sessions. 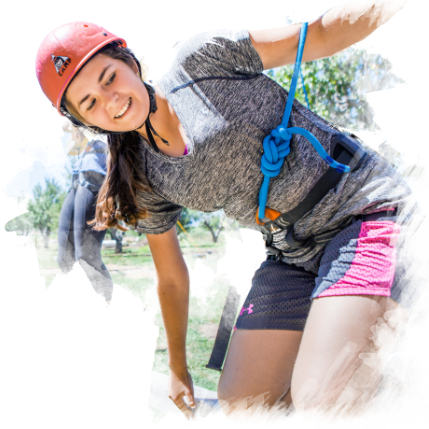 New Haven is equipped with both low and high-task ropes courses for families and girls to enjoy. In addition to our ropes courses we use a wide variety of therapeutic play activities, including sand tray therapy. We dedicate two Saturdays each month to “long day” activities to help the girls engage in healthy activities that promote deeper connections among their community as well as learn positive free time activities. Leisure education helps our students discover healthy ways to have fun – an important competency for girls who may have struggled in the past with destructive or unhealthy leisure activities. Our girls participate in community events, snowshoeing, hiking, crafts, and other fun activities in our leisure therapy program once a week. Experiences like these teach students how to fill their free time in positive ways. Equine Assisted Psychotherapy, or EAP, is experiential in nature. 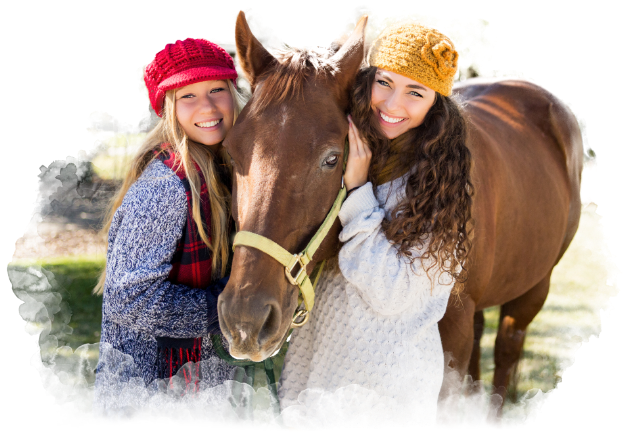 Participants learn about themselves and others by participating in activities with our horses, and then discussing the feelings, behaviors, and patterns that these activities evoke. The sessions are guided by a licensed therapist and an EAGALA certified equine professional who work together to address specific treatment goals through the equine-assisted exercises. The therapists and equine specialist running these groups hold certificates from the Equine Assisted Growth and Learning Association (EAGALA). Horses are large and powerful, which creates a natural opportunity for some students to overcome fear and develop confidence by completing tasks that require interacting with and guiding the horse. Horses are very much like humans in that they are social animals. This means that they have defined roles within their herds, they are most comfortable being together with their peers, and they have distinct personalities, attitudes, and moods. Most importantly, horses have the ability to sense and mirror humans’ body language. When we make attitudinal changes within ourselves, the horses respond immediately. Would your daughter benefit from relationship-based treatment? Call us today to learn more.